Ghosts posed a problem for the early Church because they seemed to reflect a holdover of pagan belief and superstition. Yet reliable witnesses continued to report encounters with what to appeared to be spirits, and witnesses were not so easily dismissed as they are now. 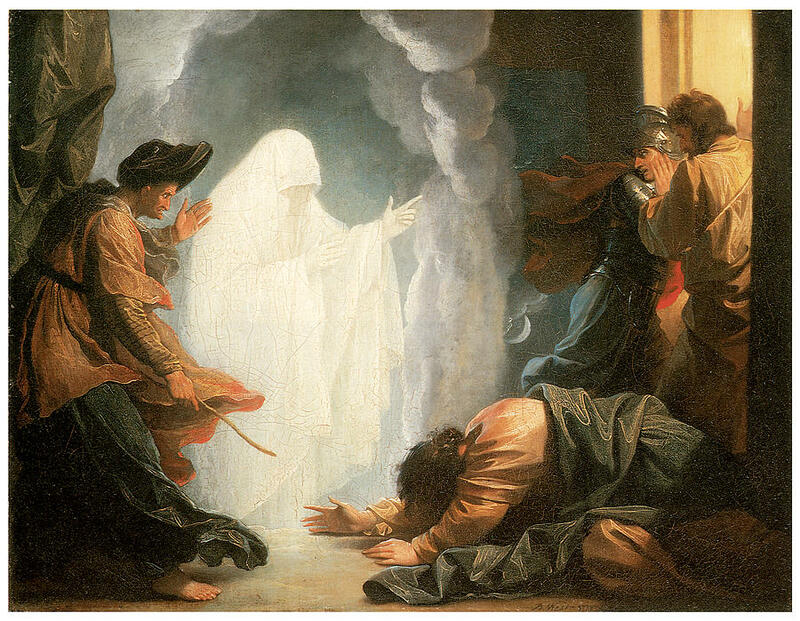 As we head into Halloween, I hope to do a few posts examining the place of ghosts in Catholicism: how have people reacted to accounts of ghosts, and how has the reaction changed over time? The first place to start is with the Bible, where ghosts are scarce but not absent. The rules governing contact with the dead set the Jews apart from other religions in the ancient world, where ancestor veneration and lavish funeral rites were the norm. Pagans practiced “incubation”: sleeping on a grave in the hopes of receiving an oneiric (dream-state) apparition of the departed with a message or prophesy. Such a practice would run afoul of Jewish purity laws. The reason for this was very simple: it suggested man could have control over powers reserved to God alone. 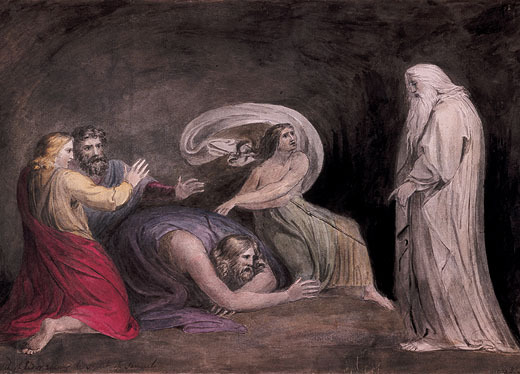 The striking thing about the Witch of Endor passage is how really diabolical it is: this is nothing less than necromancy, which is condemned by both Jews and Christians. Saul himself had prohibited the practice, which is why he meets in secret with the medium. Saul knows he has done wrong and lost favor with God, but desires to know his fate in an upcoming battle with the Philistines. “The LORD did not answer him, either by dreams, or by Urim, or by prophets,” (1 Sam 28:6) we are told. The Christological interpretation would only become clear in the fullness of time, but quite obviously Samuel isn’t even a lower-case-”g” god, which is how the RSV renders “elohim.” The use of “elohim” is provocative here, but the word could also suggest a “spirit” or “divine being” as well as gods and, specifically, Yahweh. The appearance of Samuel challenged exegetes from ancient to medieval times. 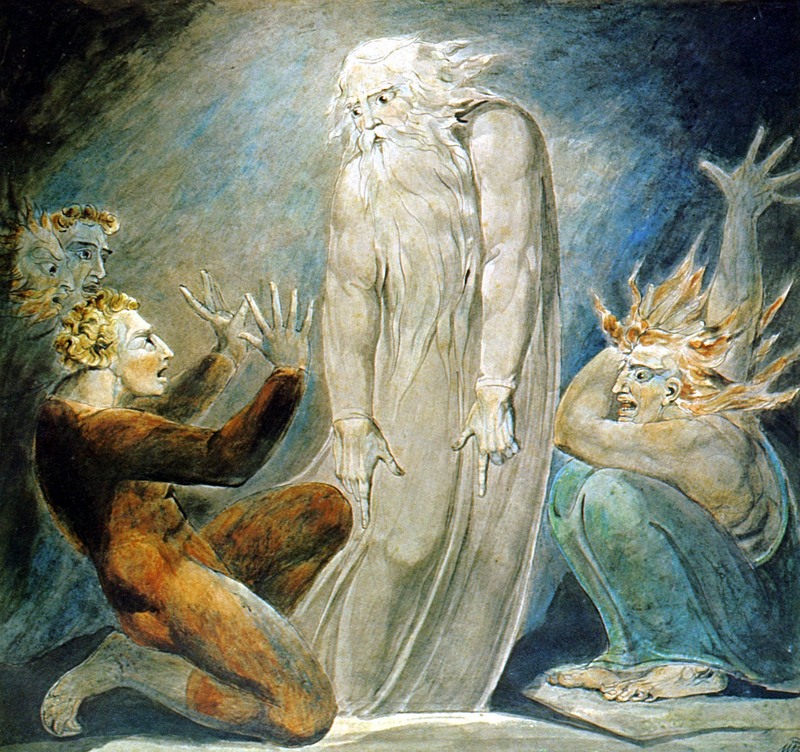 They offered a wide array of interpretations: it was the devil or a demon taking on the guise of Samuel, it was his reanimated corpse infused with spirit but not his soul (a distinction I won’t dwell on here), it was a phantasm, it was an illusion, it was actually Samuel given permission by God to appear and clothed in flesh that looked like his own, it was Samuel, who had been in Hades awaiting Christ. This last is suggested by Origen, who examines it at length in his Homily on 1 Kings 28. [1 Samuel is 1 Kings in some numberings.] I do not believe this 5000-word text is online, but it’s found in Homilies on Jeremiah and I Kings 28 (translated by John Clark Smith for Vol. 97 of The Father of the Church series). Origen’s reading would, in time, be rejected in favor of a diabolical answer. The presence of a fairly extensive medieval art tradition for the scene shows its grip on the imagination, as medieval man came to wrestle more actively with the issue of visions, spirits, and dreams.